Despite having retail experience during high school and college, Susan Schuytema had never owned or managed her own store. It was during the summer of 1995 that Susan had the opportunity to travel to France with her 18-month old baby and a friend. This ended up being the turning point for Schuytema. While she had always been interested in wines, going to France and learning about the histories of the various types is what ignited the spark that would later grow into Market Alley Wines. Susan's time was primarily spent in Olle but she also traveled to Paris and the central coast region. Because they were on a tight budget, Susan and her friend drank cheap wine that was very good. This was surprising for Susan as she had only ever had bad cheap wine. Once coming back home she realized she could have good, affordable wine and that became her goal for Market Alley Wines. 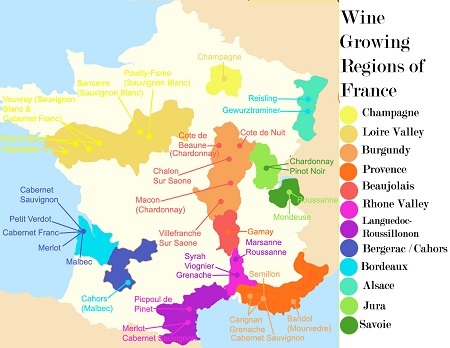 These are the various wine regions in France. Susan spent a few weeks in Paris, close to the Champagne region in Northern France. 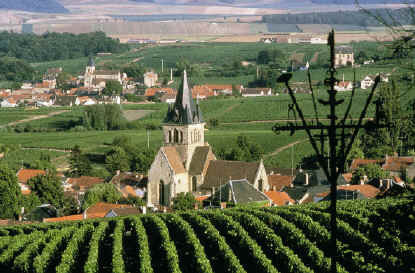 Many vineyards in the Champagne region surround small villages, similar to the one in this image.